Green Community TAGONISHI | Kokusai Kogyo Co., Ltd.
Green Community Tagonishi maximizes energy efficiency and brings a new level of comfort to the living experience. The community is also disaster resilient to bring peace of mind to those resettling after the 2011 Tohoku Earthquake and Tsunami. 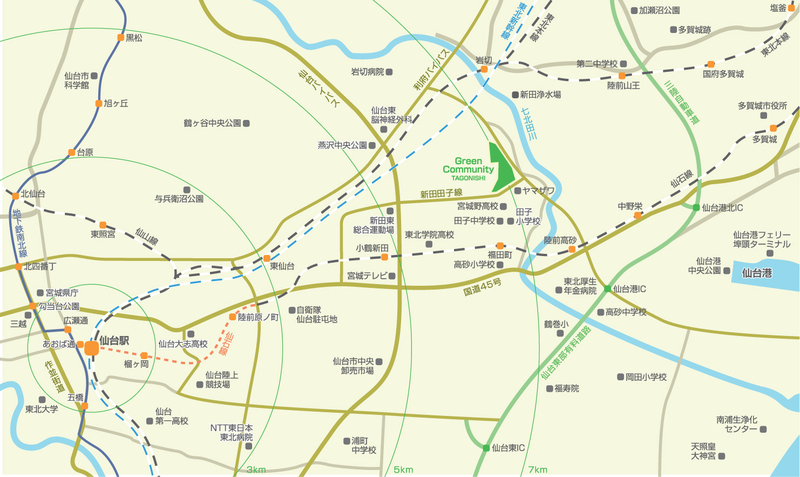 Tagonishi area is about 7km from the center of Sendai City. 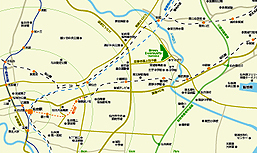 It is about 1km from Fukudamachi Station on the JR Senseki Line, and is about 3km from the Sendai North interchange, with access to both the Sanriku Expressway and Sendai East Highway. The tsunami triggered by the 2011 Great East Japan Earthquake reached approximately 2km from Tagonishi, however, fortunately, there was no damage by the tsunami or by liquefaction. Currently Tagonishi is included in Sendai City’s Earthquake Disaster Reconstruction Plan as a model town. This project got underway in 2009 as the Sendai Tagonishi Land Readjustment Project. Before this the site was mostly rice paddy fields with an area of approximately 16.32 hectares. Designed to make community communication easy. Sendai City is constructing 176 apartments to house those left homeless after the 2011 tsunami. There will be four medium-rise blocks centered around an inner court and a network of houses connected by pathways and common areas. 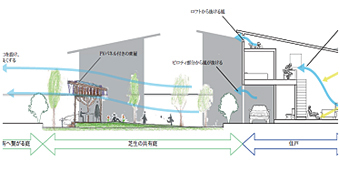 Based on Sendai City's design concept for Tagonishi to become a model eco-town, it will employ an energy management system with solar photovoltaic power generation systems and energy storage batteries for demand response* and to supply the community (evacuation) center with power during blackouts and so on. *Demand Response is a system employing redeemable points to reduce peak power demand and to encourage energy savings by each household. Comfortable living made possible with the latest technology and advanced architectural design. The community energy management system will visualize energy consumption of the entire community, particularly in the smart village and relocation public housing. The relocation public housing will have high-voltage grid access combined with a demand response system. We hope that this will encourage households to become even more conscious of saving energy. The smart village makes the most of renewable energy sources such as solar photovoltaics. 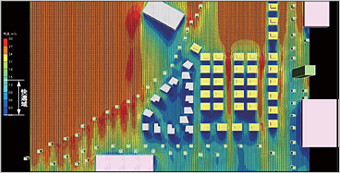 It is not over reliant on one specific energy source, and the system will have a high energy efficiency. Moreover, by using storage batteries it will be able to supply electricity in the event of an emergency. The community will have infrastructure such as charging stations to enable the spread of electric vehicles. - innovative ways of creating carbon credits, constructing buildings that make the most of nature (such as wind and light), creating green zones and promoting environmental friendliness. - disaster-resilient community development to maintain a certain degree of life continuity in the event of power failure such as after a natural disaster. 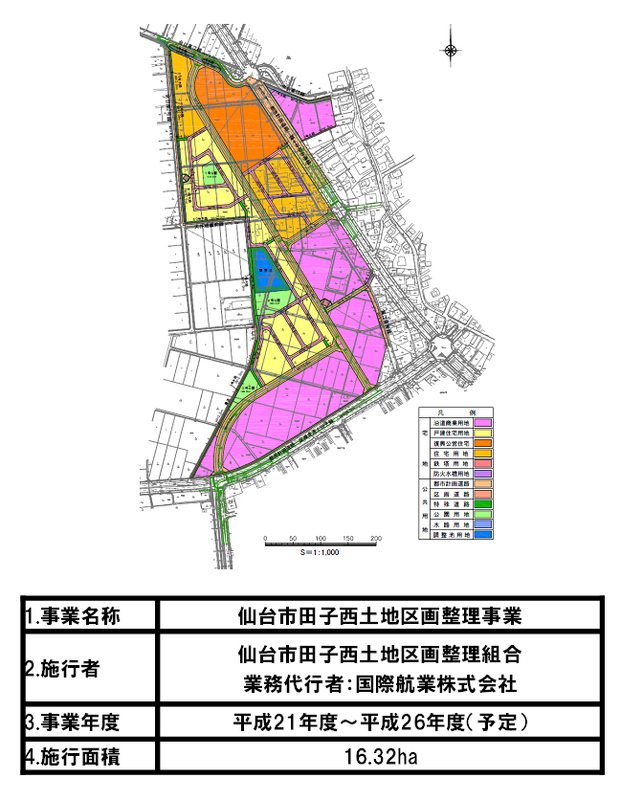 The Tagonishi Eco-Town development will be spearheaded, due to the need for an overall management approach, by the Association for the Promotion of Green Communities in Sendai City, which is to be jointly established by: Kokusai Kogyo Co., Ltd. (KKC (HQ: Tokyo)), the developer undertaking land readjustment1 work at Tagonishi; and NTT Facilities (HQ: Tokyo) and Nippon Telegraph and Telephone (NTT) East Corporation (HQ: Tokyo), which have abundant experience developing energy management systems utilizing a wealth of information, communications and energy efficiency technologies; the board of which will be headed by KKC. The eco-town will consist of 176 Sendai tsunami relocation apartments (four blocks) and 16 houses to be sold to the general public. The relocation apartments will have solar photovoltaic systems, gas cogeneration systems (CGS)2, storage batteries and smart meters, and each apartment will be equipped with ICT tablets to visualise energy use. Moreover, an energy management system3 (EMS) will be developed to efficiently utilize the diverse energy sources such as solar and CGS. Meanwhile, each house will have solar photovoltaic systems, storage batteries, an electric vehicle recharger (or a fixed storage battery) with two-way inverter, and a home energy management system (HEMS).